Team Sunweb delivered an exceptional display of dedication and commitment to a shared goal today, as their control of the stage was rewarded with their third 2017 Tour de France victory at stage 16. The Tour de France saw a Team Sunweb masterpiece today, with Michael Matthews (AUS) making it three for the team after sealing the victory in Romans sur Isere. Team Sunweb’s intentions became clear in the early stages of the day with the team neutralising breakaways, setting the tempo at the front for its entirety, marking last minute attacks and positioning Matthews perfectly to finish off the job. A flawlessly timed sprint meant that Matthews could storm past his rivals to congratulate Team Sunweb’s 185 kilometre magnificent performance with the stage 16 victory. Nach dem zweiten Ruhetag war der Start zur 16. Etappe umso explosiver. Schon nach 20km war das Fahrerfeld im Seitenwind und hügeligen Gelände in zwei Gruppen zerfallen. Am Ende teilte sich auch noch die vordere Gruppe in einem packenden Finale, indem M. Matthews den Sieg holte und Maciej Bodnar Rang neun belegte. Auch Emanuel Buchmann schlug sich sehr gut in der Windkante und verbesserte sich auf den 16. Gesamtrang. Nach dem zweiten Ruhetag an der diesjährigen Tour de France gab es auf einer weiteren welligen Etappe, wieder die Chance für eine Fluchtgruppe um den Tagessieg zu kämpfen. Auf den 165km zwischen Le Puy-enVelay und Romans-sur-Isére ging es vom Start weg bergan, die Ideale Gelegenheit für einen Angriff, bevor es ab Kilometer 65 bergab Richtung Ziel ging. Da ein flaches Finale auch eine Chance für die Sprinter bot, wurde ein interessanter Kampf zwischen Ausreißern und Peloton erwartet. Wobei der heftige Wind heute ebenfalls eine entscheidende Rolle spielen sollte. Bei BORA – hansgrohe waren daher heute die Roller gefragt. Maciej Bodnar hatte dem Feld ja beinahe schon einmal ein Schnippchen schlagen können, auch heute hatte der Pole alle Freiheiten. Genau wie der deutsche Meister Marcus Burghardt und Jay McCarthy, der mit seinem 5. Platz auf der 14. Etappe ebenfalls unter Beweis stellen konnte, dass seine Form stimmt. Wie zu erwarten entbrannte der Kampf um die Gruppe direkt nach dem offiziellen Start. Im Gegensatz zu den vorangegangenen Etappen, die in einem Sprint endeten, versuchten diesmal die Teams Lotto-Soudal und Katusha aber ebenfalls in die Gruppe zu kommen. Für Quickstep war es damit ungleich schwerer das Rennen zu kontrollieren. Die Rennsituation änderte sich ständig, aber nach 20km hatte sich das Feld im Seitenwind geteilt und die Gruppe um Froome war rund eine Minute vor einer zweiten großen Gruppe um M. Kittel. Von BORA – hansgrohe waren Buchmann, Bodnar, McCarthy und Poljanski vorne mit dabei. After remaining focused on one goal, Team Sunweb have powered to the stage 13 Tour de France victory today, with Warren Barguil (FRA) winning the sprint from the breakaway group, a phenomenal victory on Bastille Day. From the beginning of the Tour de France, Team Sunweb set out with one goal; stage success. 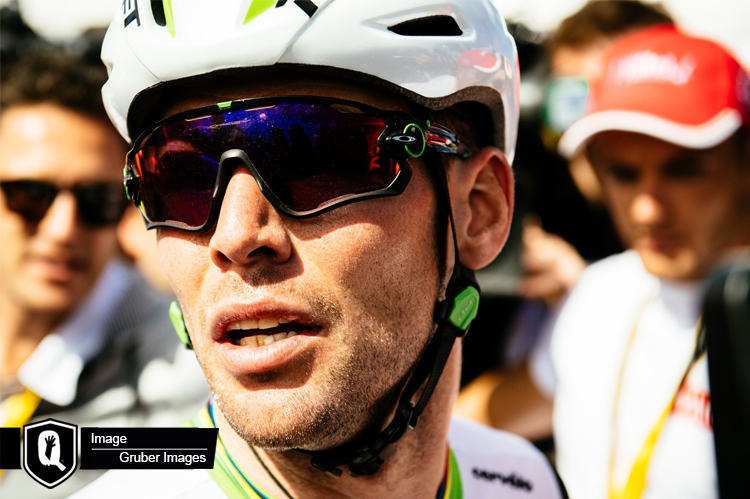 The team had a few close calls with a second place for Michael Matthews (AUS) on stage three, followed by a brilliant team effort that allowed Barguil to take over the lead in the king of the mountains competition and narrowly miss day success on stage nine. Throughout the Tour de France’s thirteen stages Team Sunweb remained calm and focused on the plan, which today led to stage success with Barguil storming to take a historical victory. In einem packenden Finale holte sich BORA – hansgrohe Fahrer Jay McCarthy den zweiten Platz. Nach der ersten Etappe der Vuelta al Pais Vasco übernimmt BORA – hansgrohe die Teamwertung. Leider musste Sam Bennett aufgrund von Bronchitis das Rennen beenden. Die 57. Ausgabe der Vuelta al Pais Vasco, oder auch Baskenland-Rundfahrt genannt, wurde heute in Pamplona gestartet. Am Nachmittag startete das Peloton unter strahlendem Sonnenschein und Windstille die erste Etappe. Circa 154km, mit drei Bergwertungen und einem gefährlichen Finale warteten auf das Feld. Die letzten 3km in Equesibar waren flach aber eine 90Grad Kurve, an der 300 Meter-Marke würden über Sieg oder Niederlage entscheiden. Riders’ biographies and quotes. Download stunning pictures from the UAE’s capital. 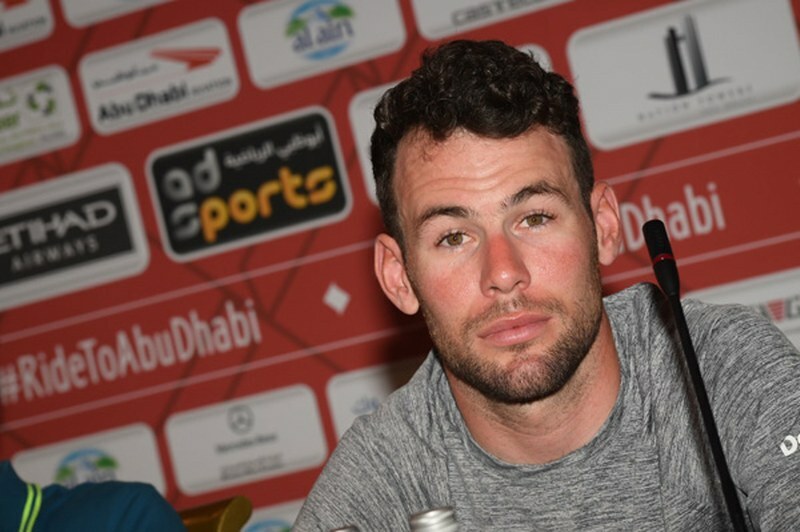 Abu Dhabi, 19 October 2016 – The press conference was opened by the Official Abu Dhabi Tour Ambassador, Mark Cavendish. In attendance alongside the Manxman were Giro d’Italia winner Vincenzo Nibali (Italy), seven time overall Grand Tour winner Alberto Contador (Spain), the duo of puncheurs John Degenkolb (Germany) and Michael Matthews (Australia), sprinter André Greipel (Germany), Rio 2016 gold medalists Elia Viviani (Omnium) from Italy and Belgium’s Greg Van Avermaet (Individual Road Race), Costa Rican rider Andrey Amador and local hero Yousif Mirza, the highest profile rider in the UAE. Before the press conference, the attending riders took time to have a photo session on the beach in front of Nation Towers in Abu Dhabi. You can download the pictures from the link below. The world’s most successful sprinter ever and 2011 UCI Road World Champion Mark Cavendish, 31, added four Tour de France stage victories this year to his account to make it 30 up to date, only four down on all-tine record holder Eddy Merckx. A points classification winner in all three Grand Tours, he also wore the yellow jersey for the first time this year and claimed his first ever Olympic medal with the silver in the omnium track race, before finishing second at the UCI Road World Championships – just a bike’s length away from reclaiming his title. 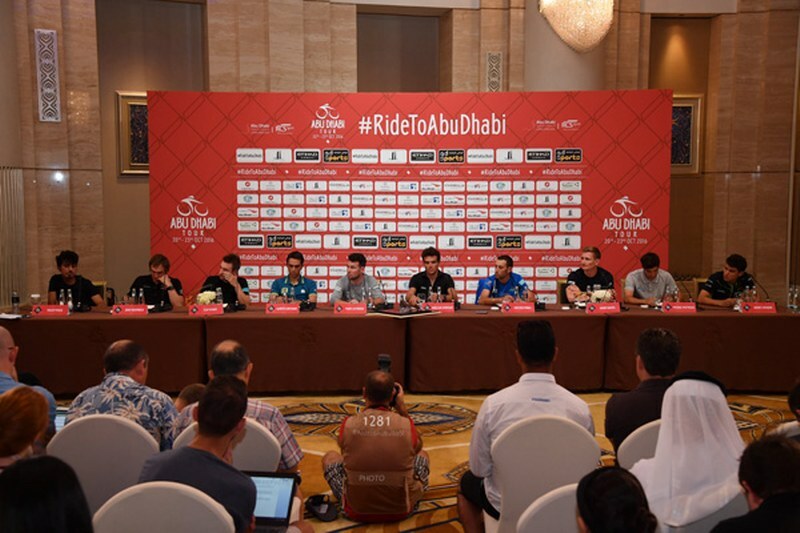 Abu Dhabi, 19 October 2016 – The official start list of the second edition of the Abu Dhabi Tour is revealed. It includes 18 teams, 11 of which are from the WorldTour, with a total number of 107 riders. Among the starters are the Official Abu Dhabi Tour Ambassador, the Manxman Mark Cavendish, the Giro d’Italia winner Vincenzo Nibali (Italy), the seven-time overall Grand Tour winner Alberto Contador (Spain), the duo of puncheurs John Degenkolb (Germany) and Michael Matthews (Australia), the sprinter André Greipel (Germany), two gold medalists from Rio 2016, the Italian Elia Viviani (Omnium) and the Belgian Greg Van Avermaet (Individual Road Race), the Costa Rican rider Andrey Amador and the local hero Yousif Mirza, the highest profile rider in the UAE. Abu Dhabi, 17 October 2016 – Following the UCI Road World Championship brilliantly won by Peter Sagan in Doha so narrowly ahead of Abu Dhabi Tour Official Ambassador Mark Cavendish, a great week of cycling is expected in the United Arab Emirates with the second edition of the UCI Cycling Gala and the second Abu Dhabi Tour just around the corner. A special event to celebrate the end of the UCI professional road cycling season and its stakeholders, the UCI Cycling Gala will take place in the evening of 18 October at St-Regis Abu Dhabi in the presence of Peter Sagan and other big names. 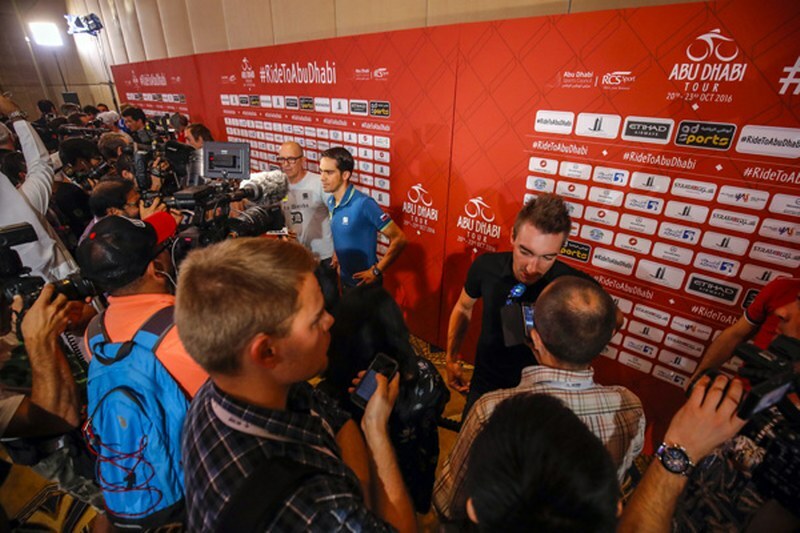 Alberto Contador, Vincenzo Nibali, Greg Van Avermaet, André Greipel, Elia Viviani, Cavendish, Andrey Amador, Michael Matthews, John Degenkolb and Yousif Mirza will attend the top riders press conference on 19 October. 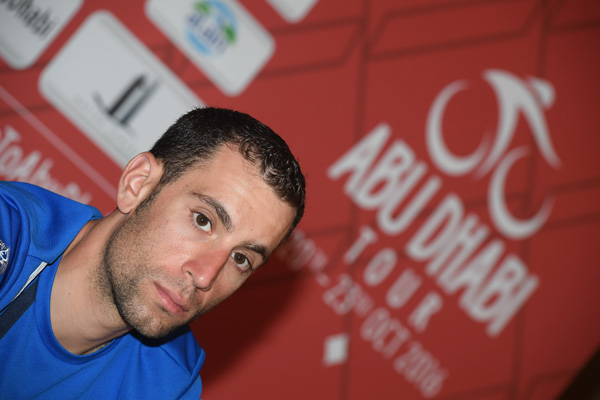 They’re part of the prestigious start list of the Abu Dhabi Tour featuring four stages from 20 to 23 October. 18 teams have signed up: 11 UCI WorldTeams (Astana Pro Cycling, BMC Racing Team, Lampre-Merida, Lotto-Soudal, Movistar Team, Orica-BikeExchange, Team Dimension Data, Team Giant – Alpecin, Team Sky and Trek – Segafredo), four UCI Professional Teams (CCC Sprandi Polkowice, Gazprom-RusVelo, One Pro Cycling and Willier Triestina – Southeast), three UCI Continental Teams (Nasr Dubai, Minsk Cycling Club and Team Wiggins). The Abu Dhabi Tour features three stages likely to favour the sprinters and one uphill finish with a spectacular grand finale on the Yas Marina motor racing circuit on Sunday night. The event will be part of the UCI WorldTour from 2017 onwards. The 2016 UCI World Road Race Championships concluded today with the elite men’s 257km road race. Defending champion, Peter Sagan (Slovakia) was able to retain his crown and sprinted to victory just ahead of our very own Mark Cavendish and Tom Boonen (Belgium) placed 3rd. Team Dimension Data for Qhubeka were proud to have no less than 16 riders take the start in Doha this morning, all ready to represent their respective nations. As racing got underway it was riders from our African Team that really lit up the race. Nic Dougall (South Africa) was joined by Natnael Berhane (Eritrea) in an attack after just 3km of racing. Our 2 African riders pulled 5 more riders away with them to form the break of the day. As the lead group made its way up the Arabian Gulf, the peloton was happy to give them a good gap and the advantage blew out to just over 10 minutes rather quickly. Mark Cavendish’s Great Britain squad along with our Belorussian champion, Kanstantsin Siutsou controlled the gap from the front of the main bunch. It was a unique situation to have riders from our African Team really dictating the pace of the race from both ends. 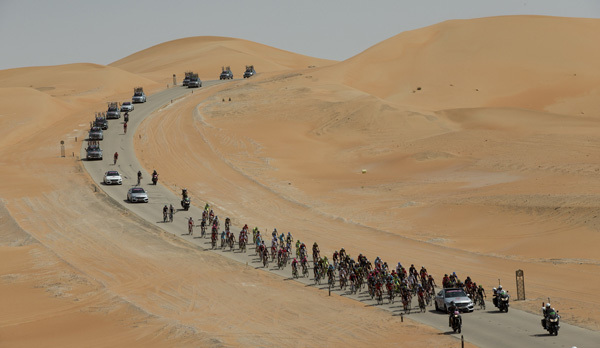 As expected though the soaring temperatures and typical Qatari crosswinds would play a huge role in today’s race and the race defining moment came with still 175km to go. After a 80km trip up the Arabian Gulf, the main bunch turned back towards Doha and Great Britain and Belgium chose this exact moment to put the race into the gutter. Minutes later and the crosswinds had blown the race to pieces. Jeder Tag ist für IAM Cycling anders. Nach seinem schönen sechsten Platz im Mannschaftszeitfahren gestern, hoffte das Schweizer Profiteam dynamisch für seinen Sprinter Matteo Pelucchi bei der Ankunft der zweiten Etappe arbeiten zu können. Leider stürzte der Italiener, in einem Massensturz rund 20km vor dem Ziel gemeinsam mit fast allen seinen Teamkollegen und hat es nicht mehr geschafft, mit dem Feld aufzuschliessen. Somit konnte sich sein Freund und Landsmann Elia Viviani (Sky) im Finale durchsetzen. Das Rosa Trikot wiederum übernahm Michael Matthews (Orica GreenEdge) dank Bonifikationen.